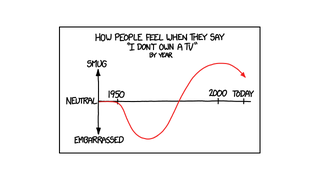 Do You Feel Smug or Embarrassed About Not Owning a TV? Maybe, like most people, you own a TV. But there's a chance that, like me, you don't. If that's the case, how do you feel when you have to tell someone that's the case?